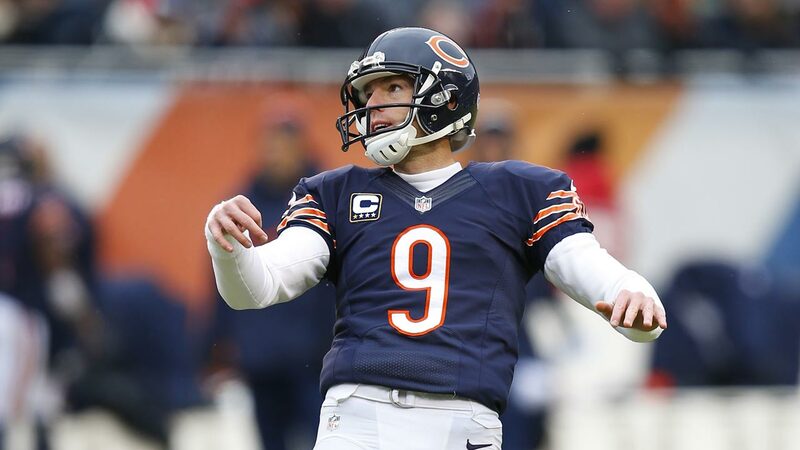 CHICAGO (WLS) -- The Chicago Bears released long-time kicker Robbie Gould was released Sunday, a move that shocked many Bears fans. After 11 seasons with the team, veteran kicker Robbie Gould is no longer a Chicago Bear. He is the team's all-time leading scorer, making 1,207 career points. Gould also holds club records for field goals made (276), field goals made of 50 yards or more (23), field goals made in a season (33 in 2015) and longest field goal made (58-yards in 2013). He is the most accurate kicker in Bears history, making 85.4 percent of his field goals and is ninth all-time in NFL history. But Gould had a rough 2015 season, especially late in the year. Gould told ESPN the Bears told him he'd be released after he missed two extra point attempts in the last preseason game. Gould tweeted late Sunday night, "Thank you to the Bears organization, teammates, coaches, and fans. Once a Bear, always a Bear." On Twitter, the Bears thanked Gould for, "11 great seasons in the blue & orange." Many Bears fans expressed sadness that Gould is no longer a Bear. "I don't like it, they should be building from a standpoint of having good players and Robbie was a good player, maybe they are trying to cash out and get maybe a better player but I don't know why they would do that," said Bears fan Edward Carter. Daily Herald sports writer Joe Aguilar was also surprised the Bears made this decision so late. "I do think it was a factor of both the salary he was scheduled to make and the fact that his production tailed off not even in the last year, really the last nine months, 10 months," Aguilar. Ester Williams worked at Soldier Field for two seasons and said this is a sad day for Bears fans. "It was kind of sad because I loved the way he played and he did that for a very long time," Williams said. The Bears are expected to sign Connor Barth, who was cut Saturday by the New Orleans Saints.